Some photos from Hollywood Studios. The title is cut using the George and Basic Shapes Cricut cartridge. The red paper is from a kit I bought at Disney World. 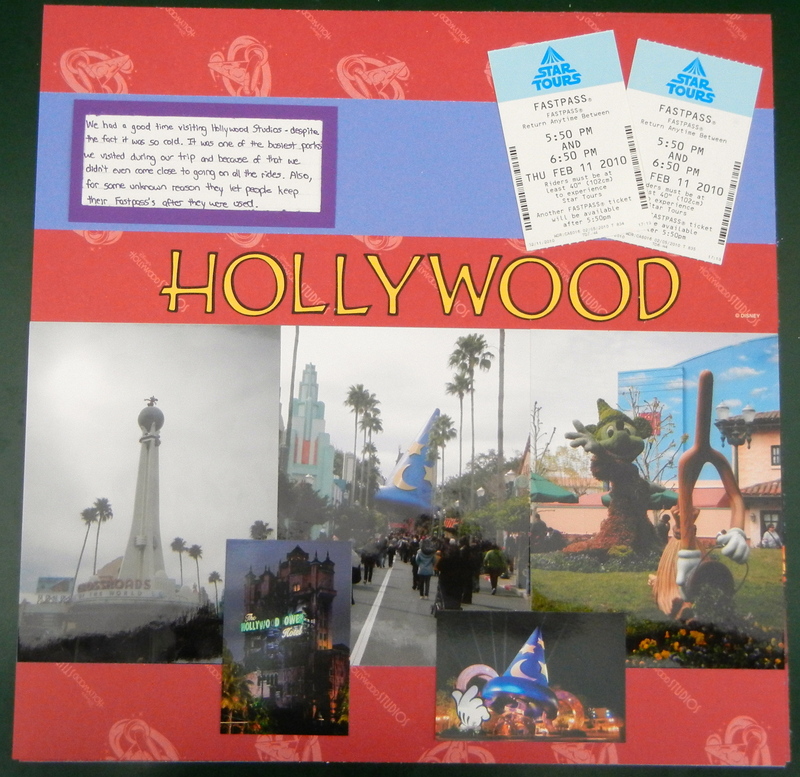 Journaling: "We had a good time visiting Hollywood Studios – despite the fact that it was so cold. It was definitely one of the busiest parks we visited during our stay at Disney World, and because of that, we didn’t even come close to going on all the rides. Also, for some unknown reason they let people keep their Fastpass's after they were used."